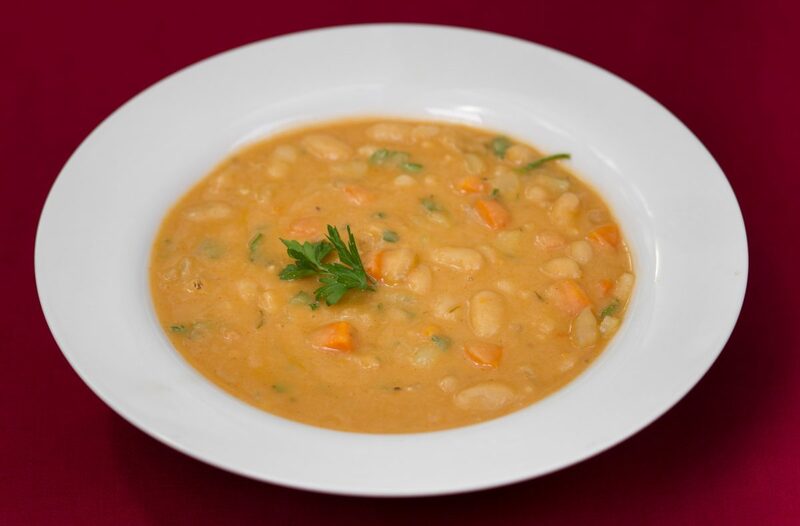 This delicious, creamy soup will remind you of traditional white bean soup, but without the ham. It’s easy to make, comforting, and full of flavor. In a large stockpot over medium-high heat, sauté the onion, celery, carrots, and garlic in a small amount of water until tender, about 8 minutes. Combine the vegetable broth, water, and 2 cans of cannellini beans in a blender. Blend until smooth and creamy. Add the blended beans to the vegetables in the pot, along with the remaining 1 can of whole beans and all the seasonings. Simmer on low for 20 to 30 minutes to allow the flavors to bloom. Serve warm. Love this recipe? Order The PlantPure Kitchen here!